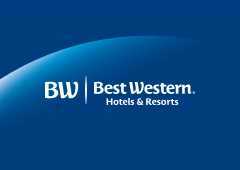 In late 2017, Best Western Hotels & Resorts launched a new Best Western Mobile Guest Engagement Platform (MGEP). Used across the globe by Best Western-branded properties, the platform provides web-based tools to facilitate pre-arrival, on-property and check-out communications. Best Western hoteliers that tested the platform during a pilot program earlier in the year reported significant increases in guest satisfaction, a positive overall experience and increased room revenue through native upselling and advertising functions. This latter data point provided a great business opportunity to reimagine the brand’s pre-arrival confirmation emails. To start, Best Western took over the development of the reservation confirmation emails, a task previously delegated to a third-party provider, and set out to enhance its communication strategy in order to deliver personal, superior customer care through timely and relevant communications. The target audience for Best Western’s pre-arrival reservation email strategy includes the more than 400,000 business and leisure travelers that stay at Best Western-branded properties each night. The emails deliver relevant messaging to appeal to guests of every demographic including road warriors, families, motorcyclists, road trippers, Best Western Rewards members and more. Internal data and industry reports point to the effectiveness of personalization in improving email click-through rates – in some industry studies by as much as 14%. By bringing the development of its pre-arrival emails in-house, Best Western leveraged the custom communication and dynamic content features of the new technology to further personalize reservation confirmation emails. When it comes to engagement, timing matters. Emails received between a week and three days from arrival can generate more conversions (e.g. upgrades). Robust technology and separate subdomains now allow in-house teams to distribute responsive pre-arrival emails that effectively leverage a configurable schedule job. An updated, brand-specific design, coupled with tailored content and aggressive segmentation strategies, keep emails relevant. A new design also drives engagement through easy access to high-value customer service features such as one-click check-in and direct in-property contact. Best Western’s ideally-timed reservation confirmation email communications make planning arrival easy and checking in convenient and stress-free for guests. Need service support or want an upgrade? The pre-arrival email provides easy access to in-property staff and one-click access to upgrade options available for the booked travel dates. Opportunities to book transportation or make reservations are a click away. Always-on-the-go travelers will appreciate the mobile-friendly interface and streamlined content that is tailored to their needs. In addition, the dynamic emails deliver brand-specific designs and targeted content, highlighting individual property amenities and unique features among Best Western’s diverse portfolio of 11 global brands. The reservation confirmation emails confirm the brand’s commitment to providing superior customer service, exceptional value and modern amenities. Best Western’s reservation confirmation email strategy consistently delivers strong email analytics that rate above industry standards. The refreshed email campaign launched mid-August in 2018, with personalized confirmations being delivered to more than 215,000 guests to date. With an average of 400,000 guests staying in Best Western hotels every night, the emails are estimated to reach millions of travelers each year.